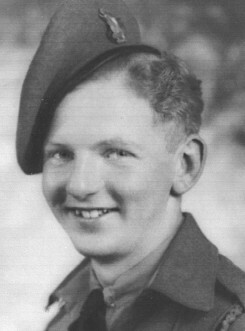 Donald Carey (Dec. 15, 1925 - Jan. 14, 2008), son of Pearl and Wellington Carey, served with the Essex Scottish Regiment, after taking basic training at Chatham and advanced training at Ipperwash. To enlist, in 1943, he lied about his age. He didn’t turn 18 until he was en route to England from Debert, Nova Scotia. Over­seas, he served mostly in Holland. He was discharged in 1946.